Shucking an oyster ideally requires an oyster knife with a short, sharp, thick blade. Wear a glove to protect your hand against the knife and sharp edges of the shell. Hold the oyster deep side of the shell down with the hinge toward you. Insert the knife between the shells near the hinge, twisting the knife to separate the halves. The oyster is attached to the centre of its upper and lower shells by a strong muscle. With the knife, sever the muscle attachment to the upper shell. Lift off and discard the upper shell. Slide the knife under the oyster and sever the lower muscle. Take care not to spill the delicious salty liquor in the shell. 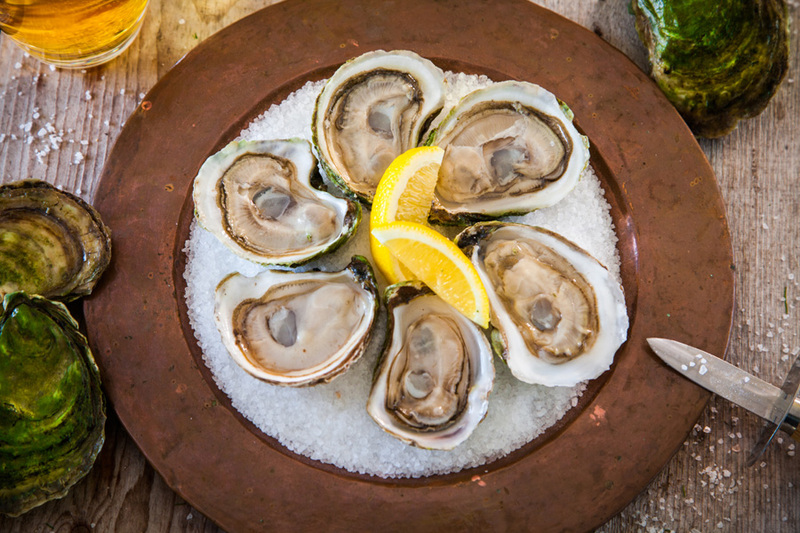 Use rock salt or ice to keep your oysters from tipping and spilling their salty liquor. Garnish as desired.